1. 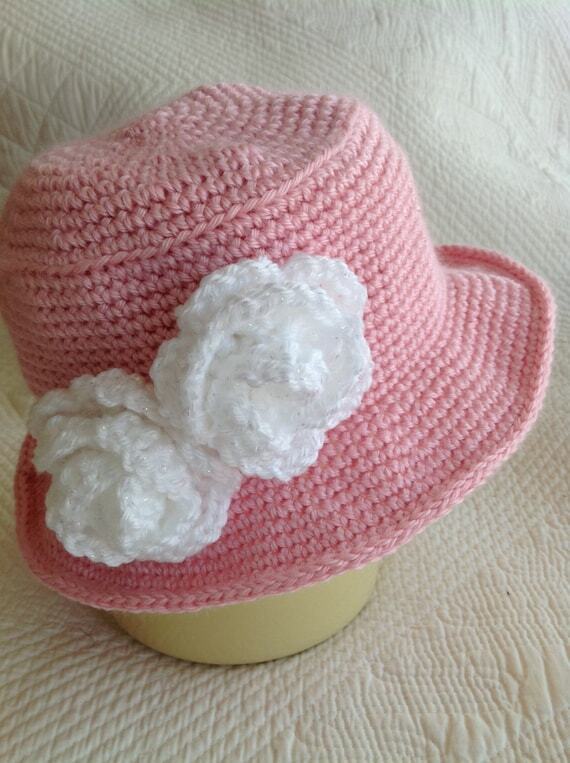 Pretty in pink Easter Hat with White Roses! 2. 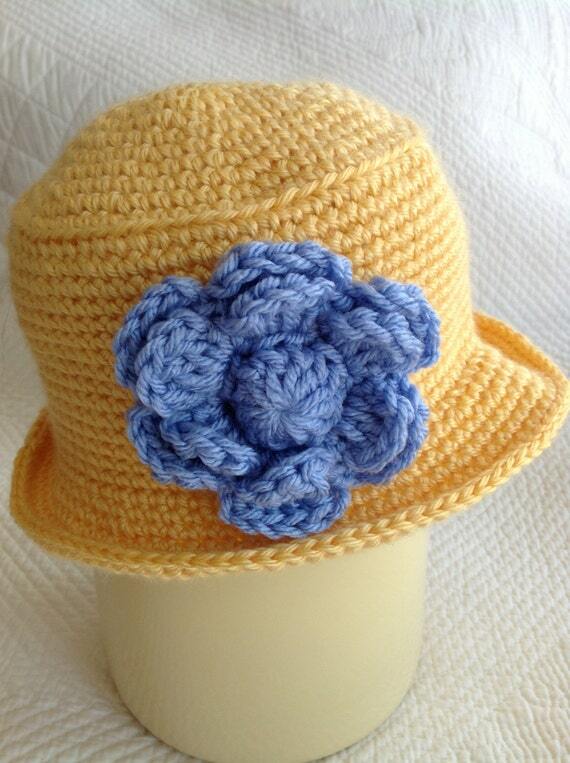 Yellow Crochet Hat and Blue Flower! Very stylish! 3. 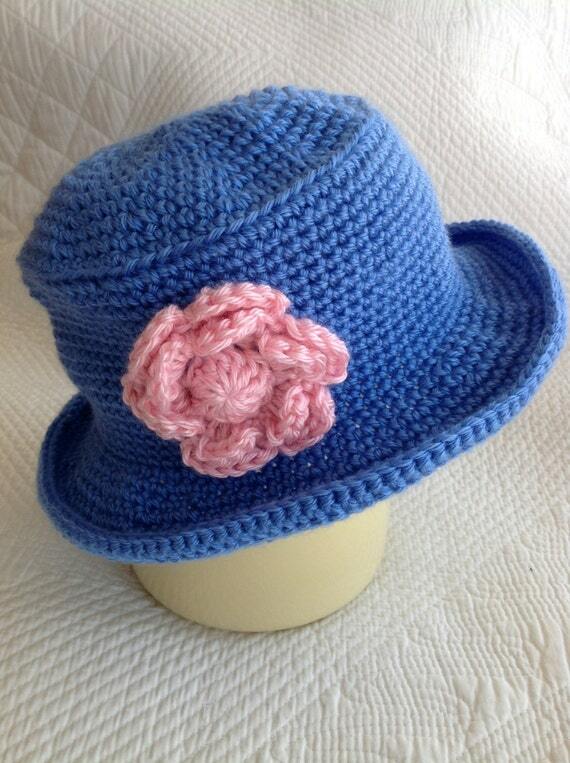 Your Little Girl will be so Pretty in this cute Blue Hat with Pink Flower! 4. 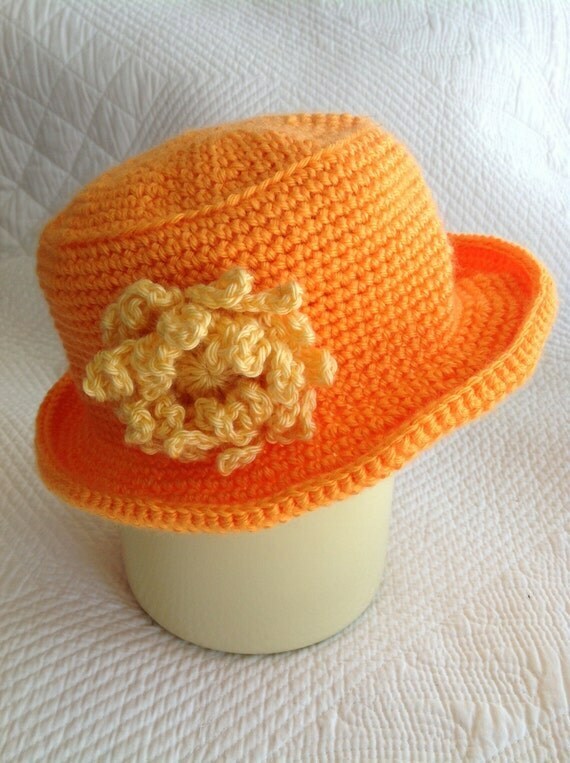 Orange and Yellow Easter Hat! So bright and perky! 5. 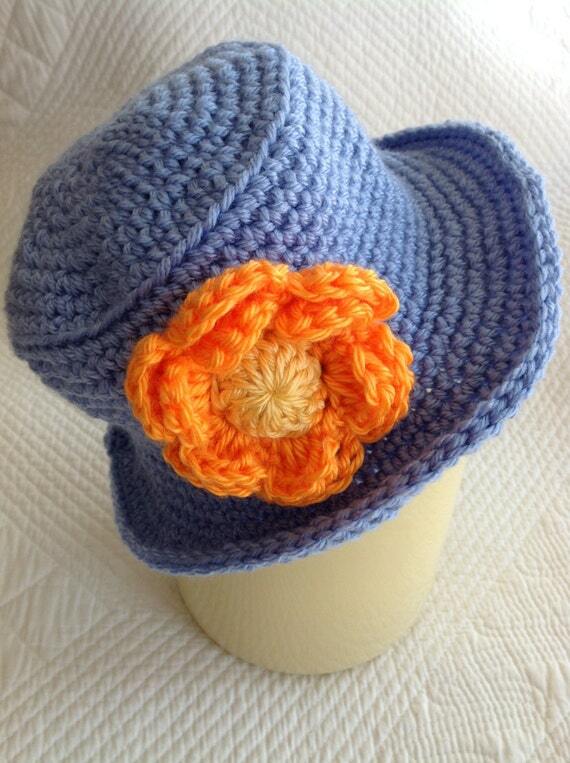 Crochet Blue Hat with Orange and Yellow Flower! So Pretty!